How much do UFC fighters get paid? Conor Mcgregor Illuminates a path. Now i don’t want to point any fingers here, but in order to answer the question how much do UFC fighters get paid, we certainly have to look at the Reebok partnership with the UFC that started in 2014, which has certainly played a massive role in current pay structures for many fighters. But what i also want to highlight within all this, is the real reason why we support the sport of MMA, the topic of a Professional Fighters Association, and also what one man has shown to be possible for MMA fighters to financially achieve in today’s climate. This was happening while the UFC shareholders at the time (Dana White, Lorenzo & Frank Fertitta, Flash Entertainment) were pulling about $100 Million a year shared between them in dividends. However with the power of marketing, UFC fighters were able to adorn their own sponsorship’s inside of the octagon, and most fighters from this era will agree, as Brendan Schaub’s comment highlighted – more often then not sponsorship money, would pay far more to fighters then the actual UFC contract – here’s an excellent article to highlight the pre-Rebook era pay structure – Also this website highlights ball park figures of specific fighters career earnings thus far. Fighters who have between 1-5 fights in the UFC will make $2,500 per fight under the graded system. Fighters with 6 – 10 UFC bouts will make $5,000; 11 – 15 will get fighters $10,000; 16 – 20 fights earns $15,000; and 21+ bouts gets a fighter $20,000. Title challengers will make $30,000 and champions will pull in $40,000. Then consider that on top of these mostly incredibly low figures, that the fighters can no longer make money inside the UFC via sponsorship’s – Kenny Florian once mentioned that Rory Macdonald only made $59,000 for his legendary title fight with Robbie Lawler in July 2015, then if we look at the recent Al Iaquinta quitting the UFC for real-estate situation, there is more fighters realising how underpaid they have been. I personally didn’t realise how bad the situation was until i found out, directly in around 2012 as a 25 year old self- employed salesman, that i was making more money then a lot of UFC fighters – now i must mention within all this, that the UFC has and does provide fight/submission/KO of the night bonuses to fighters, but those are very tough for under card fighters to get even after an impressive win. 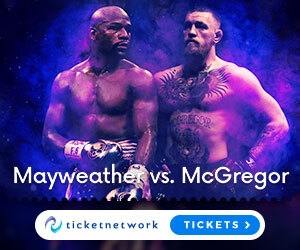 The UFC has and does provide discretionary bonuses based on performance/loyalty etc, but those can be very unstable and not guaranteed, as well as pay-per-view card slated fighters getting pay-per-view points, which is good, but again if your a good fighter, but you cant make it to the pay-per-view card, then your missing out. I always have a perspective in everything in life that it is the people that build the houses with their hands that should get the biggest reward, not the guy selling the house when its done – it is the employees, the ones that do all the real work, that are the true power of any company. This is not to say that business/marketing/promotion etc are not valuable skills as well, because they are and so should be rewarded, but come on lets keep it in context here – do you buy a football ticket because you want to congratulate the shareholders of the football club? Or do you buy it because you want to physically experience watching your team play? Pretty simple answer. the increased exposure in new territories etc. If they could also add “drastically improving all fighters pay scale” to that list, then that would be an absolute success for everybody and would allow the sport to continue to grow and improve. Conor Mcgregor has taken the game to a new level for an MMA fighter since he arrived in the UFC in April 2013 with a 1st round TKO of Marcus Brimage, which earnt him $50,000. He brings an ability to talk on a microphone with smooth witty precision, calling his shots, exuding confidence, gaining buzz, and selling the fight which creates more viewers. He is in his athletic prime at 28 years old currently. apart from Georges St-Pierre, he is the first MMA fighter in history that truly has a whole nation supporting him at all times, which brings a sea of people to events, and drastically increases ticket sales/pay-per-view buy rates. He has an advanced understanding of business/marketing/promotion/sponsorship’s, which enables him to be able to get huge contracts outside of the UFC for things like films, or for instance the latest Call of Duty game in which he is a playable character. All of these points allow Conor to be able to use them as leverage on the UFC to get much better pay, or just not agree to fight until the pay meets his own acknowledgement of worth. The UFC can hold out on his demands for a while, but they know they need Conor on a card to maximise sales, so its a business transaction, and Conor has brought a hybridisation of business/fighter mind that the game has never seen before. His most recent opponent Nate Diaz, stated in a recent interview, that “fighters need to start making stars of themselves like Conor”. The reason Nate stated this is because he made over $500,000 for his first fight with Conor, and over $2 Million for his rematch, which altogether is more then Nate has made in his long career in just two fights, so its understandable why he is praising Conor. Conor Mcgregor has illuminated the path with the concept that you have to be your own promotion to know your worth and get your worth, and with Bellator and other promotions hovering over any disgruntled UFC fighter, now is the time for UFC fighters to step up their game just like Conor Mcgregor to maximise their pay. Also we have to look at the real consideration of a Professional Fighters Association/Union being formulated, because within any major sport that you can name, historically owners have always exploited their athletes to maximise profits for the shareholders. MMA is now a Billion dollar industry nowadays, and as me and others have noted, even some of the top fighters have been receiving a very small amount of a very large pot of money. Fighters need to realise that without unified solidarity to create a hub of fair play for fighters, then owners will continue to exploit athletes till the end of time. If you look at all the major sports leagues in the US, which is NBA, NHL, NFL, MLB for instance, as of 2016 all the players receive about 50% of revenue that the companies make, which you see in the massive contracts that their athletes get, same goes for Footballl in the UK and Europe – Cristiano Ronaldo and other Footballers of his calibre getting paid around £300,000 a week, this is not something that happens by accident. Many other prominent heads with various sports have begun to also speak up about UFC fighter pay injustice, but that statement from DeMaurice Smith really says it all, and hopefully with a continual drive from the fighters and the MMA community in general we will see a fighters association sooner rather then later. Heres a link to a website, where a team are focused on trying to get a Professional Fighters Association in place. So in closing – a blend of Conor Mcgregor will/self-promotion, the UFC fighters coming together unifying a fighters association, and the UFC owners making moves to improve fighters pay scale – all of these things will result in a better all around experience for everyone involved in the UFC and the MMA community – so remember if anyone ever asks you how much do UFC fighters get paid, there’s a lot to it 🙂 and there’s a lot of room for improvement. If you have any comments about this article or fighter pay in general, then leave a comment and lets work this out for the best.